Rana Nessim: In your book The People Want, you said this is going to be a very long revolutionary process. Did you expect it to turn into a military dictatorship so quickly? Gilbert Achcar: I would dispute the idea that the whole regional revolutionary process has turned into a military dictatorship. Where did it turn into a military dictatorship? If you’re referring to Egypt, then that’s one country, not the whole process. Even there, I don’t think it turned into a military dictatorship, since it never stopped being a de facto military dictatorship. The Egyptian army has not ceased constituting the real backbone of the state from the time of Mubarak until now. People thought, at a certain point, that Morsi’s presidency spelt the end of military rule in Egypt and compared this to what had happened to military rule in Turkey: it was merely an illusion. Although SCAF (the Supreme Council of the Armed Forces) officially handed power over to Morsi, they kept the real reins of power in their hands. They were still very much in control of the whole set of armed forces. The army and the interior were very much a continuation of the ancien régime. There was very little change. Thus, what happened later on was not really surprising. Textile workers strike in Mahalla El Kobra. Photo by Sabry Khaled. 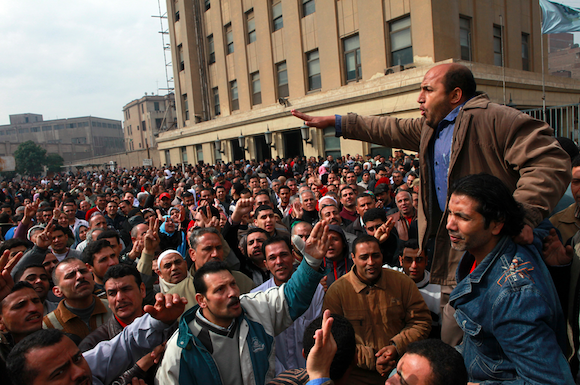 What I would emphasize much more actually is the fact that the social struggles are now flaring up again in Egypt, with a lot of strikes taking place, including among the textile workers in Mahalla El Kobra. Moreover, the youth do not seem to share the great enthusiasm for General Sisi, which is in part very artificially orchestrated. Their disaffection was reflected in the low turnout of young people for the constitutional referendum this last January. I would therefore very much stress that Egypt is still only at the beginning of the long-term revolutionary process that started in January 2011. As in any historical revolutionary process, there are ups and downs, periods of revolutionary radicalisation, periods of reaction and of setback. What we have in Egypt right now is rather ambiguous actually since it is the product of a second wave of upsurge – June 30, leading once again to a second episode of direct military rule. RN: When would you say the break between the military and Morsi happened? Obviously there was an agreement between the military and the Muslim Brotherhood, and that’s how and why Morsi came to power. GA: I think the divorce happened long before Morsi came to power. Only in 2011 was there some collaboration between the Muslim Brotherhood and the army. The Muslim Brotherhood broke with most of the opposition when they went into talks with Omar Suleiman, the head of intelligence at the time, before the fall of Mubarak and later on when they closely collaborated with the ancien régime in creating social support for the constitutional amendments put forward by SCAF. The first constitutional referendum in March 2011 saw a convergence between the Muslim Brotherhood, the Salafis and the ancien régime, whose core force is the army. This collaboration was predicated upon the Muslim Brotherhood’s pledge that they were not seeking power. At the beginning, they gave assurances that they were going to field parliamentary candidates for only one half of the constituencies and that they were not going to have a presidential candidate. But they broke their pledge on both accounts. This alarmed the military command, especially at a time when their Turkish counterparts were being humiliated by the AKP rule. They got wary about any possibility of the same happening in Egypt. That’s where we saw the beginning of tensions rising between the Muslim Brotherhood and SCAF. These tensions reached a peak on the eve of the presidential elections of 2012; remember the huge suspense over the contest between Morsi and Shafik before the proclamation of the results. Morsi – from the Muslim Brotherhood – defeated Shafik – the military man backed by the military institution. The illusion of a break with Egypt’s long tradition of military rule came to the fore when Tantawi and Anan, the two top military men, were sent into retirement. This was overdue retirement actually, but they had kept their positions only because Mubarak wanted them around him as people he trusted completely. The rest of the army’s high brass, as we know from Wikileaks’ release of US diplomatic reports, were not happy with Tantawi. Sisi was next in line as a result of military consensus. Morsi did not freely choose him; Sisi was the man designated by SCAF. The military got even more worried when Morsi gave himself Pharaonic powers in November 2012. But they were not the only ones to worry: during Morsi’s short-lived presidency, the Muslim Brotherhood managed to alienate almost everyone in Egypt, including their close allies, the Salafis. This opened the way to June 30 and July 3, 2013. Rosemary Bechler: How would you contrast the Egyptian army’s role to that of the Tunisian army? GA: The Tunisian case is very different. On the one hand the Tunisian army never had a comparable role to that of Egypt’s; Tunisia was never a military dictatorship contrary to other Arab Republics, most of which have been based on military rule. Tunisia is an exception, as Lebanon is also in a different way. On the other hand, there is in Tunisia a major organised social force and therefore a major de facto political force, and that is the worker’s trade union centre, the UGTT, and there’s nothing equivalent in Egypt. The UGTT has been the chief broker in the confrontation between the Ennahda government and the Tunisian opposition. RN: It’s quite surprising that the Muslim Brotherhood have been branded as terrorists and fundamentalists but no one is batting an eyelid at the Salafis now standing side by side with the current military-backed interim government, although they are more radical. Do you think that the Salafis are going to replace the role the Muslim Brotherhood played prior to 2011 when it comes to the parallel welfare state, especially given the funding they have from Saudi Arabia? GA: The bulk of Salafis in Egypt are not more radical, politically, than the Muslim Brotherhood. Their kind of fundamentalism is related to a more stringent conception of life and society and in that sense they can be perceived as more ‘radical’. But during the time of Mubarak, the government saw them very favourably because they preached obedience to the ruler. In that sense, they are not regarded as a threat by the ancien régime. This is all the more the case in that, as you said very rightly, they have the Saudi connection. In 2011 there were even Saudi flags raised in some of the Salafi rallies in Egypt. The Saudi connection is also one of the key reasons for the support of the Salafis’ main party, El-Nour, for Sisi: it is obviously related to the Saudis’ enthusiastic support for the same, which also fits with the regional rivalry between the Saudi kingdom and Qatar. This said, the Salafis do not need to replace the parallel welfare state of the Muslim Brotherhood, as they already have their own networks in place. That’s how they spread, especially in the rural areas of Egypt: in much the same way as the Muslim Brotherhood did. Borrowing a concept elaborated by a French sociologist, one could say that the Salafis run a ‘counter-society’. These forces manage to grow by filling gaps, which in the case of Egypt are huge gaps, left by the failure of the state to provide basic social services of every kind. However, the Salafis are not as powerful as the Muslim Brotherhood in terms of organisational machinery, especially when it comes to politics, because the Muslim Brotherhood have been working for much longer in Egypt as a political organisation. They are basically a political party – indeed, the first modern Islamic fundamentalist party – combining Islamic fundamentalism with modern politics. 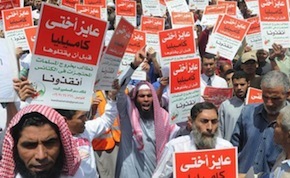 The Muslim Brotherhood were hence well prepared to rise in power after the fall of Mubarak. With massive funding and television support from Qatar, they opened party offices everywhere with great pomp and circumstance. I don’t think that the Salafis are in the business of emulating that, at least, for the time being. They have no plans for seizing power in their own hands; they want rather to be associated with power, and are therefore quite happy to work with the military. What they would prefer is something akin to the Pakistani scenario under General Zia-ul-Haq (1977-1988), where you had military rule, backed by fundamentalists, implementing fundamentalist criteria in government. 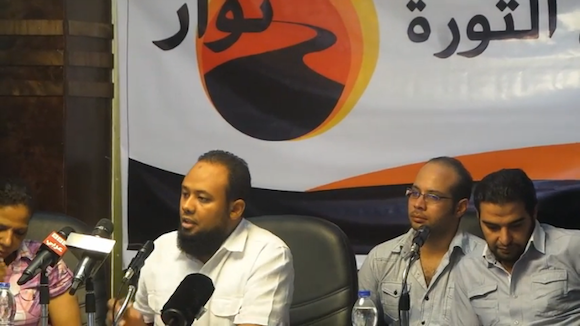 RN: Since we’re talking about fundamentalists, local media in Egypt have been saying that there are Hamas-backed militant groups in Sinai, such as Ansar Beit El Maqdis or the Takfiri groups. Are they really posing a threat? Or is this some kind of a distraction that the government is using to re-assert that the military is needed to protect Egypt? Paul Rogers, in his latest column on openDemocracy, says that he thinks that Al Qaeda could build a new base in Egypt. What do you think? GA: These are indeed two different issues: one is about the Muslim Brotherhood and the other is about Al Qaeda. To be sure, the kind of situation that is developing in Egypt is an incitement for fringe groups, which may or may not be by-products of the radicalisation of those in the Muslim Brotherhood that have decided to turn to violence. It is not proved at all that there are direct links between violent actions taking place in the Sinai Peninsula and Hamas or the Muslim Brotherhood. What is more obvious to me is that the claim that there is such a link, before it could be based on any real proof, is a pretext for the military to better ostracise the Muslim Brotherhood in Egyptian society and to further legitimize and justify their repressive actions so far. It’s striking how the language of the ’war on terror’, which became so prominent with the Bush administration after 9/11, is now very widely deployed in the region by the Egyptian government as well as by the Syrian regime or the Bahraini monarchy. It’s hard to believe that the Muslim Brotherhood would resort to terrorism under the present circumstances; it would be extremely short-sighted of them to do so. If one were contemplating a shift to armed struggle, one would hardly carry on organising mass peaceful demonstrations. The fact that they are doing so tends to indicate that the attribution of violent operations to them is dubious. This said, even the tactic of demonstrations waged by the Muslim Brotherhood has been entirely counterproductive in my view, and a continuation of the extreme clumsiness of their behaviour since the start of the revolutionary process, and especially during the Morsi period. The fact that Morsi, despite the huge size of the demonstrations against him on June 30, refused to call for a referendum or for early elections was extremely short-sighted. The fact that he stuck to the assertion that he was the democratically elected and therefore legitimate president lacked foresight. Think of Charles De Gaulle, a much more important historical figure with much higher legitimacy in a sense, who – when he faced massive demonstrations against him in 1968 – called for elections. He happened to win the parliamentary elections in that year. The year after, in 1969, he called for a referendum on his programme, which he lost and subsequently resigned. Well, he was a lot cleverer politician than Morsi, and on the other hand, he had a lot more sense of what democracy means. 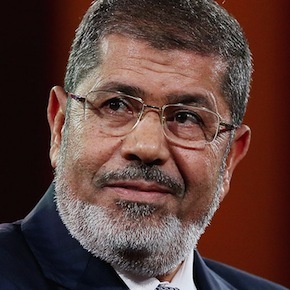 Once Morsi was overthrown by the army in the face of huge mass resentment against what the Muslim Brotherhood had been doing, the idea that demonstrations in his support would succeed in reinstating him as president was very unrealistic, bordering on the irrational. The political turmoil organised by the Muslim Brotherhood actually played into the hands of the armed forces. They, of course, resorted to very brutal repression, but with support from most of Egyptian society, in the name of fending off the permanent agitation conducive to ‘terrorism’. In that sense, the Brotherhood’s demonstrations were completely counter-productive and actually served the purpose of those wanting to reinstate Mubarak’s repressive state in full. As for Al Qaeda, it is taking advantage naturally of the whole massively destabilising impact of the regional uprising and revolutionary process. All revolutionary processes come along with destabilisation. And any destabilisation helps fringe radical groups, in this case radical far right groups, to proliferate. Now, will they be able to build anything significant in Egypt, more so than the previous wave of terrorism in that country in the 1990s? I don’t think so. Al Qaeda manages to build some real base only in countries torn by civil strife. That has been the case in Iraq and is the case more and more in Iraq, Syria and Yemen. However, the situation in Egypt is quite different. Unless you have a collapse of the military, which is not really on the cards for now, I cannot see Al Qaeda building for itself a regional base in Egypt. This is all the more difficult to imagine in Sinai since it is not only the Egyptian side that will not accept any Al Qaeda presence there, but also the Israeli side. So, I can’t see that as a likely prospect. RB: Are the Saudis funding instability in Syria or wherever they think there is the danger of a more democratic settlement? GA: It is wrong in my view to believe that the Saudis would support instability anywhere. They are actually the furthest you could find from any desire to destabilise; they fear instability because it represents a direct threat to them. In Syria, they were actually quite late in playing a major role. Qatar has been much more prominent there until last year. This said, one should not forget that the main destabilising force in Syria is the Syrian regime itself. By replying to the very legitimate demands of the peaceful demonstrators in 2011 with extremely brutal and criminal repression, it created the current situation. RB: So there is no significant proxy war? GA: Not in the sense that the Saudis would have wanted to overthrow the Syrian regime. The only reason why they expressed their support for the Syrian uprising is because they needed to divert it from a democratic uprising into a Sunni uprising. As long as it is a democratic uprising, it represents a major threat to their own interests, even if they do not hold much sympathy for Bashar Al Assad. Once it gets the character of a Sunni uprising, animated by a sectarian agenda, they are relieved as it is consonant with their own sectarian ideology. They basically support the ancien régime everywhere. But in Syria they couldn’t do so for sectarian reasons. In Yemen, they did. In Bahrain, of course, they even intervened militarily to uphold the ancien régime. In Egypt, they are very openly on the side of the ancien régime and they regretted very much the ousting of Mubarak. They resented the fact that the US administration let Mubarak fall. All over the region, the Saudi Kingdom is basically the main representative of the ancien régime and works for its stabilisation. Libya is another exception. They couldn’t express any sympathy towards Gaddafi with whom they had much trouble during his reign. Accordingly, they tried their best to recuperate the Libyan uprising, along with western powers and Qatar, but they all failed miserably in preventing the country’s destabilisation. Everything that has been happening in Libya ever since the insurrection of Tripoli that brought Gaddafi down has been beyond anyone’s control. In a sense, this is why it has been a much more interesting process than the image of pure chaos projected in the western media. There’s much more happening in Libya than just militias clashing with each other; there is also a very intense process of social and political mobilisation of a society coming out of a very long lethargy. RN: Egypt/US relations appear to be changing. This week, Sisi went to Russia for a $2 billion agreement on “military and technological cooperation.” One might expect that the US would do everything in its power to keep Egypt on its side, especially as Israel’s neighbour. Is this just a distraction or a threat to the US? GA: There seems to have been no done deal: they are still negotiating. The potential deal is said to be funded by the Saudis. Now, are the Saudis really going to pay $2 billion to Russia’s military industries, when they are at the same time on opposing sides of the Syrian conflict? Sisi’s visit to Moscow served two purposes actually – one is the one which you mentioned, which is also a gesture addressed by the Egyptian military to Washington so that it stops putting pressure on them. The US is reminded that Egypt has the option of shifting back to old allies, to the time when Russia’s predecessor, the Soviet Union, was the main sponsor of the Egyptian armed forces. True, Putin’s Russia has little in common with what the Soviet Union used to be, but Sisi himself has even less in common with Gamal Abdel-Nasser, despite what his admirers claim… and Putin and Sisi have much in common as intelligence men with reactionary gender views. 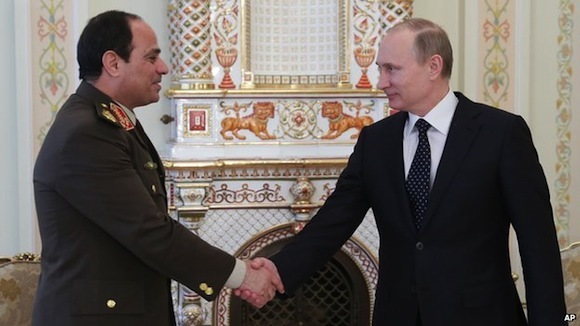 Field Marshall Sisi meets with Vladimir Putin. The other purpose of Sisi’s visit to Moscow is plainly related to Egyptian domestic politics. It is no coincidence that it happened prior to Sisi’s proclamation of his candidacy. Had he already proclaimed his candidacy, he couldn’t have gone there as Minister of Defence, since he needs to resign from his official positions in order to run for president. His visit was 100% orchestrated as a presidential gesture, including the wide circulation of Sisi’s photo in civilian attire on his way to the airport. His meeting with Putin went much beyond the usual minister to minister meetings. Putin came out openly in support of Sisi’s presidential bid. All of this fits nicely into the attempt to exploit nostalgia for Nasser by spreading the suggestion that Sisi is his reincarnation. In fact, the only thing the latter two do have in common is their military background and nothing more: they are actually completely contradictory characters. Nasser and his comrades, the Free Officers, were young rebel officers who overthrew the military hierarchy as well as the monarchy. Sisi, on the other hand, is a top member of the military hierarchy who was an obedient servant to the old regime of Mubarak until his very last day. RN: In the past couple of weeks there’s been quite an upsurge of workers’ movements in Egypt and it has been very interesting in the sense that there hasn’t been any repression – as far as we know – which is quite surprising because it was when the workers joined the uprising in February 2011 that Mubarak had to step down. But this time the state is not reacting with an iron fist. Why might that be? GA: This shows that it’s quite exaggerated to portray the situation in Egypt as a totalitarian nightmare. It’s much more complex, because if it is certainly true that the military took things back into their hands after July 3, they did so against the backdrop of a huge mass uprising. The fact that there is a new upsurge in workers’ strikes is certainly very significant; it shows that the long-term revolutionary process is still very much alive and kicking, as I already mentioned. The lack of repression of the present strike wave, I think, is mostly due to the fact that we are heading towards presidential elections. The army is probably holding the Ministry of Interior (MOI) back from spectacular repression because it could be harmful to Sisi’s presidential prospects. RN: Especially now that conscripts from the MOI have also been on strike, right? GA: Absolutely, this combination would be very harmful to Sisi’s campaign and could destabilise dangerously the whole situation. Repressing the workers’ strikes would also put the present Minister of Labour in an extremely embarrassing position potentially forcing him to resign. RB: This is the leader of the Egyptian Federation of Independent Trade Unions? He hasn’t seem so embarrassed up until now? GA: If you follow things closely, he has been embarrassed more than once. In my view, Kamal Abu-Aita fell into a trap by accepting to be made the Minister of Labour. However, it’s not easy to throw stones at him because he was a real working class fighter. He wasn’t a bureaucrat. He was deliberately co-opted into the government for that very reason indeed, and that’s another indication of what I was saying about the ambiguous or more complex picture that prevails in Egypt, rather than just the military rule picture. Abu-Aita was co-opted precisely because they wanted to appease the working class after July 3. But as we are beginning to see now, that was definitely not enough. RN: Hamdeen Sabbahi does not seem as popular as he was during the presidential campaign of 2012. He’s not given much credibility, because of his support for the current military-backed interim government. Does he have a chance in the upcoming presidential elections? GA: I would remind you that up to two weeks before the presidential elections of 2012 he was almost a non-entity in the media. He was seen, and the expression has been used countless times, as the “dark horse” in that electoral game, the man who surprised everybody. Indeed, it was a huge surprise that he got close to 5 million votes, and came in third, with negligible means in comparison to both Morsi and Shafik, and even, Amr Moussa and Aboul Fotouh. Hamdeen Sabbahi had very little in comparison, and he still came third. Not only that, he was in the lead with the largest number of votes in both Cairo and Alexandria, the two main urban concentrations in Egypt. I’m not saying this to suggest that he will repeat this achievement. This time things are much more difficult and there is actually very little doubt that Sisi will win the upcoming presidential elections. In my view, the issue for Sabbahi this time is not to win the elections, although he has to assert that he is trying to win them, because you don’t run in an election as one of two frontrunners saying, “I take it for granted that I won’t be elected.” You have to make your followers believe in the possibility of victory. And he has a lot of followers, especially among the youth. I would hazard that he could get significantly more support than what can be predicted at this point in time. People who previously refrained from expressing anything but support for Sisi are now becoming more critical. The ice is breaking slowly; there are various signs of that like the Bassem Youssef show, for example, which plays a very positive role in that regard. More and more intellectuals are expressing critical opinions in the Egyptian press, including Alaa El Aswany, who can be seen as a barometer. In his last columns he has been taking his distance more and more from Sisi, which is a positive development. RN: Yet more and more people have been arrested. Freedom of expression, as such, is not really present. GA: The latest wave of arrests was on the anniversary of January 25 and included many young people who were part of the June 30 mobilisation against Morsi but rejected the subsequent military rule. These arrests are now criticised and attacked by many people, so that I wouldn’t be surprised if most of those detainees were released soon, or else this issue might be used against Sisi. Sabbahi clearly condemned those arrests. 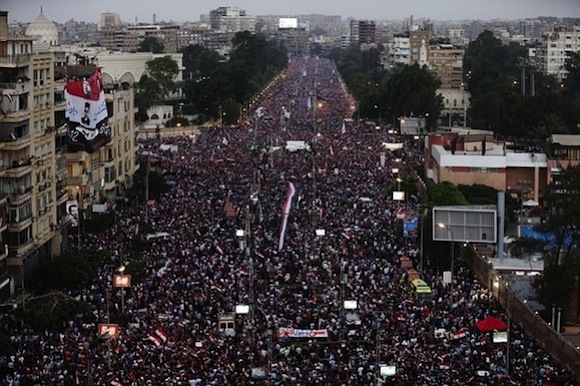 June 30 demonstrations against Morsi. RB: What’s Sabbahi’s constituency of support then? GA: He is betting on the vote of the youth who were key in the uprising and who did not overthrow a Mubarak in order to enthrone a Sisi, I would say. As well as all those who are unhappy with military rule for various reasons, including a sizeable section of the Muslim Brotherhood’s sympathisers. RN: Would the left support Sabbahi? GA: If you mean the radical left, this is not clear yet. I very much hope they will. The radical left should not repeat their past mistake of not supporting him. They made this mistake during the 2012 presidential elections. I was really appalled to see sections of them even preferring to support Aboul Fotouh, the liberal Muslim candidate backed by the Salafis. Nasserism is by far the main form of progressive political consciousness that one can find in Egypt. This progressive consciousness takes the form of nostalgia for Nasserism – not nostalgia for military rule, as some people believe, but nostalgia for social benefits, nostalgia for agrarian reform, democratisation of education, the guarantee of jobs for graduates, etc. It’s also, to be sure, nostalgia for the national dignity of Egypt as embodied by Nasser. Of course, there is also a right wing interpretation of the Nasserist legacy emphasising the dictatorial “strong man” dimension. But I would contend that a vast section, if not most of those invoking Nasser in support for Sisi are doing so opportunistically. It is funny to see how suddenly so many collaborators of the Sadat/Mubarak regime have started invoking the figure of Nasser. In any event, if you’re looking for a form of mass left wing political consciousness, Nasserism is what you find in Egypt. Anyone having illusions that you’d be able to build a mass current referring to Marxism or the like in that country, in the foreseeable future, is completely deluded. If you want to build a left current in Egypt, you have to work with the present and actual form of progressive political consciousness. No one embodies the left Nasserist nostalgia better than Hamdeen Sabbahi presently, and this is also an indication that this nostalgia is not one for military rule, since he’s 100% civilian. Moreover, he’s going to be facing a military leader. Returning to what I was saying, the key challenge for Sabbahi now is not to win the elections, but to come out with a significant vote in order to prepare for the future, because there is little doubt in my view that Sisi is going to fail. Sisi is a continuation of the ancien régime. He may try to portray himself as a reformer and renovator and all that, but he is basically a continuation of the Mubarak regime, one moreover who depends on Saudi and Emirati funding, not exactly sources of the revolutionary type. Sisi relies on their petrodollars to fund his government. But this will in no way be enough to solve the country’s key problems. Anyone whose programme is but a continuation of the same economic policy that prevailed in Egypt over the last decades will fail at getting the country out of its present economic dead end, fail at reversing the hugely rising unemployment, or solving basic real and major problems. Every government that has come to power since Mubarak has failed: the SCAF failed miserably. They were greeted at the beginning with slogans like “The military and the people are one hand” and so forth, and in a matter of few months they became increasingly the target of mass popular resentment. Then Morsi incurred the same reaction; he had a very short honeymoon period, especially when he so visibly shot himself in the foot, very clumsily, by giving himself 100 days to sort things out, and failed miserably. But this was also a recognition of the fact that one needs to deliver quickly in today’s Egypt, and Sisi is going to face the same challenges. To get out of the binary standoff between the ancien régime and Islamic fundamentalists, a third way needs to emerge. As they say in Egypt “La fulool wala Ikhwan, lessa el thawra fel midan” (No remnants of the old regime and no Muslim Brotherhood, the revolution is still in the square) – which is an excellent slogan. 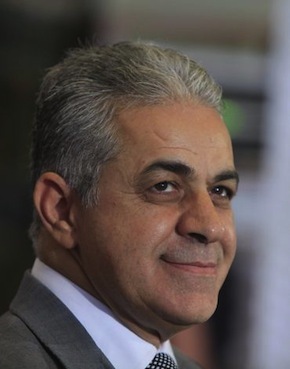 Hamdeen Sabahi. Photo by Amr Nabil. Sabbahi represented this aspiration in the first round of the elections in 2012, because those who voted for him didn’t want either Morsi or Shafik. In a way, because he was very clearly against Morsi and in support of June 30 (his people were among the main actors in the build-up of the June 30 mobilisation and a lot of the now-divided Tamarod team are from among the ranks of his supporters) he is well positioned to represent this third way in standing against Sisi. Without giving him a blank check, of course, the left in Egypt, in my view, should definitely give him support, albeit critical. It needs to be understood that it is essential for the future that an important and significant number of people vote against Sisi and for a progressive alternative. A boycott would not attain the same results, especially since it would be attributed to the Muslim Brotherhood. RB: Can I be a devil’s advocate on this one? When you say that the radical left supported Aboul Fotouh and they should have supported Sabbahi, there is possibly an argument that if you really want to form a structure that will change things in Egypt, you have to somehow bridge the gap between the Islamist and secular constituencies; and that moreover this necessitates cultivating political pluralism and diversity rather than cultivating a monocultural National Us. Effective use seems to be being made now of the ’war on terror’ precisely to scare everyone that anyone different is an enemy, and Nasserist nostalgia is redeployed to the same end. Under those circumstances, could we not argue that Sabbahi is really just another appearance form preventing change? OK, he may want to change the complexion of the ruling entity, get a few of his own people in or have a bit more power for himself. But couldn’t this illusion of a possible return to Nasserism also have the effect of yet another fail safe mechanism against real change? GA: I don’t think that he can be seen in this light at all. He is someone who has been fighting fiercely against both the Sadat and Mubarak regimes his whole life. He has been jailed many times for his views. He was locked in much more radical opposition to Mubarak than the Muslim Brotherhood ever were. He was also involved in various kinds of progressive opposition against Mubarak, including the Kefaya movement, up until January 2011. He, therefore, has a long track record in representing both the democratic aspirations and the Nasserist nostalgia, which is the genuine desire to bring Egypt back to the progressive social measures that were completely reversed with Sadat’s infitah policies. At this point in time, he embodies the aspirations of the vast majority of those who are looking for a progressive alternative. RB: Which is that they want to go back? GA: Well, they want to go back to a social and national profile which I think should really be seen as quite progressive. Even Sabbahi himself would not defend the dark side of Nasserism, the dictatorial character, the repression, etc… But he defends all the rest. It’s a balancing act; I would say he is part of a vast majority of the Egyptian population who regard the positive legacy of Nasserism as more important than the remainder. In that sense, he is seen as a major threat by the ancien régime. Aboul Fotouh is much less of a threat to the social order, because after all he was part of the MB, albeit their liberal wing, taking its inspiration from the Turkish AKP model. For the ancien régime, this is much less of a threat than someone who has a real constituency in the working class and among the youth, and who represents left wing aspirations. One major reason Sisi will be running for presidency is Sabbahi actually, in the sense that Sisi is not a political person, as Heikal emphasized. He is very much a military man, a man of the intelligence services, with the mind-set you would expect from people in this position in countries where the army is the dominant institution. He knows very well that the military is the real source of power in Egypt and that’s actually the reason why in the new constitution they imposed the ruling that for the next two mandates the army will designate its own senior commander and minister of defence. At that particular point in time, what that tells us is that Sisi was not yet enthused by the idea of becoming president. If you’re sure of becoming president, why would you impose such limitations upon yourself? And why didn’t the military repeat the SCAF episode after July 3, but put forward civilian figures instead? It is because they had learned the lesson. So why should they burn their fingers facing social unrest again? It would make much more sense for them to have a weak civilian president, so that they keep intact their image as Egypt’s saviours in the last resort. But the problem is that the only person who has declared his candidacy, so far, is Sabbahi. And there’s no one on the horizon matching his popularity but Sisi. My guess is that the Saudis were made anxious by the prospect of Sabbahi getting elected, and must have applied pressure on General Sisi to run for president. RN: But wouldn’t that be a bit of a suicidal path for the military, coming slap up against it all? At the end of the day, if you don’t have the middle man who’s going to take the brunt of things, this will leave the people face to face with the military, which will expose them. GA: Absolutely. And that’s actually one of the arguments that Sabbahi is using in his campaign, because of course he doesn’t want to alienate the army, nor attack Sisi frontally. He would be foolish to do so given Sisi’s present popularity. His line of argument is, “I am against Sisi becoming president, because that would be harmful to him and to the army. It would create a wedge between the army and the people.” This, of course, is a shrewd line of argument. One could wish that he put it still more straightforwardly, by emphasising the need to build a modern democratic Egypt with a “civilian regime,” a phrase which was an object of vast consensus after January 2011. Even the MB argued for a “dawla madaniyya” (civilian state), which fundamentally means one that is ruled neither by the religious nor by the military institutions. RN: Is there some kind of a split between the MOI and the military? You have these big talk-show hosts like Yosri Foda, Lamis El Hadidi, etc. being quite critical of the MOI and the arrests, etc… Or could this blame game simply be designed to give the military a better image? GA: Yes, of course. It’s definitely not a split. I do not buy this thesis or any attempt at reading Egyptian history through the prism of the military versus the interior. Generally such readings are meant to create a more favourable image of the military. There are two people who have kept hold of their positions from Morsi’s time till now: Sisi and Mohamed Ibrahim, the Minister of Interior. There’s continuity here because they are quite simply two sides of the same regime, the same “deep state”. It is obviously in the interests of the army that someone else be responsible for repressing social struggles. The army is very happy taking care of their own interests and not getting enmeshed in this thorny situation. However, does anyone entertain the slightest illusion that the repression is not endorsed by Sisi? Everyone knows that he is the “strong man” in the present situation in Egypt. The real president, the real prime minister is Sisi. To believe that the MOI are doing what they are doing against his approval is just absurd. One should have absolutely no illusion in this regard. Sisi might play demagogically on the public mood and come out in favour of the release of some of the political prisoners if he sees this as useful. But this would be very much part of his electoral campaign. This or that MOI figure could be scapegoated every now and then. This is very usual political practice everywhere. People shouldn’t be fooled. RN: And the judiciary, where do they stand in the midst of all of this? Because towards the end of Mubarak’s reign there was quite a stand-off and now it seems that they’ve been completely co-opted, back to the way things were with very little sign of independent thinking? GA: The judiciary, the interior, the army, etc… are all institutions of the “deep state.” Now contrary to the MOI or the military high brass, you may find judges – because of the nature of the institution – who are independent-minded or who wish to be seen as independent, but sooner rather than later the judicial hierarchy would bring them back to order. The deep state has not been undermined in Egypt. It is still very much there. The only country in the region where the deep state was smashed is Libya. This did indeed lead to an almost stateless situation, with the absence of the first qualification of a state which is the monopoly of legal violence. Hence all these militias and the insecurity. Libya faces the problem of building a new state almost from scratch and it’s not easy. Aside from Libya, in Tunisia and Egypt, not to mention Yemen or the rest, the deep state is still very present. RN: Would Hamdeen Sabbahi have any impact on the deep state? GA: I don’t think that it is useful to enter into the territory of political fiction – and this for two reasons. The first is that what is important with Sabbahi’s campaign is the building of a third current, regardless of whatever will come next, especially since Sisi is going to be elected in all likelihood. The second point is that you can’t limit political fiction to guesses about one man’s idiosyncrasy. If you are going to speculate, you have to factor in the conditions under which Sabbahi would come to power. If it is in a context of mass upsurge and social radicalisation, he can go quite far with his agenda along the Nasserist road. Of course, he can hardly go beyond that, but that’s quite progressive indeed. One can imagine changes on the model of Chavez and the Latin American left taking place in Egypt. It all depends on the overall balance of social and political forces. RN: The Way of the Revolutionary Front have put forth a third way. We haven’t heard much noise from them and it doesn’t seem as if they have gained much of a following. The founding press conference of the Road of the Revolution Front. GA: It’s an excellent thing that they exist! However, they have faced a very difficult situation with the polarisation between the Muslim Brotherhood and a camp that appeared to be led by the army. The room for them was extremely limited and that’s why, unfortunately, they remain marginal in the Egyptian situation. But this is where Sabbahi comes into the picture. Some people believe that he is on the military’s side since June 30. But this is a misunderstanding. A few days before the huge mobilisation, Sabbahi was asked by a journalist, “Don’t you fear that the army you are now allying with, against Morsi, might take power again?” His reply was, “No, I am convinced that our army is not interested in doing that.” That was wishful thinking and a mistaken assessment indeed. But it is on the basis of that wishful thinking that he acted. Now, Sabbahi has changed his tone and even more so the young people in his movement, known as The Popular Current, who are voicing more and more criticism of the government and what is going on, especially against the repression, as well as of the prospect of the military coming to power. The main figure of The Popular Current, a young man declared a couple of months ago, “If Sisi runs for president, this would give credit to those who said that July 3 was a military coup. It’s not acceptable that he runs while he is in his military position. He should resign long before that happens.” Now, of course, Sisi will resign, but only quite late on, after securing his control over the military institution and waging a long de facto presidential campaign while exploiting his official positions. Sabbahi recently came out very openly on TV, criticising the government and especially their repressive tactics. He said, “We are all for fighting terrorism but we are against curtailing basic freedoms in the name of fighting terrorism” and he also said, “I hope that the Muslim Brotherhood will change their attitudes. I am calling on them to re-join the political game. And I am against treating people who shout slogans in demonstrations the same way you treat terrorists who engage in violent actions.” So he was quite clear in that regard. That’s why I believe that his campaign is crucial in order to break the potentially dictatorial image that is orchestrated around General Sisi. This interview was previously published on Open Democracy and International Viewpoint. Gilbert Achcar grew up in Lebanon and teaches development studies and international relations at the School of Oriental and African Studies (SOAS) in London. Among his books are The Clash of Barbarisms, which came out in a second expanded edition in 2006; a book of dialogues with Noam Chomsky on the Middle East, Perilous Power: The Middle East and U.S. Foreign Policy (2nd edition in 2008); and most recently The Arabs and the Holocaust: The Arab-Israeli War of Narratives (2010). His next book analysing the Arab upheaval will come out in the spring of 2013. Rana Nessim and Rosemary Bechler are editors for Open Democracy. Libya also appears to be a Hobbesian hell at this point. Where to next Gilbert?